Breast feeding your baby is one of the overtly glorified feature of motherhood in our society! It's like if you don't breast feed, your entire motherhood is failed! I was brain washed about breast feeding my baby even before I had my baby. The big family and extended family that I have, seemed little for this purpose, so even a Breast Feeding Expert was enrolled in my motherhood! Honestly, I never knew something as basic and instinctive as breast feeding needed experts. Due respect to their profession and also the need of it to the society, but I certainly didn't need one in my life. I can say this blatantly because her involvement did rather bad to me than any good! My breast feeding case in a nut shell would be something like this - The latching of baby - the very first step of breast feeding and establishing the process happened while I was in the hospital. This was within first 3 days of my baby's birth. My baby was on complete breast feeding for 20 days. After that, till he turned 2 months old he was on partial breast feeding along with the formula. He completely stopped breast feed when he turned 2.5 months old. I had scanty flow right from the day one. It showed on my baby as he had weight loss and hence we had to introduce top feed. Now why am I so keen on sharing this? 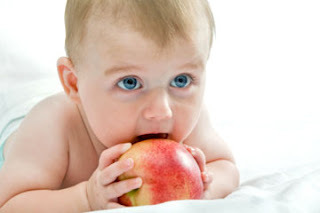 Simply because there is nothing wrong if you feed your baby for a little time. In fact, now I feel even if you are unable to feed your baby due to any reasons, there is nothing wrong with you, your baby and the quality of your motherhood! Since I got carried away in this social pressure and the breast feeding expert, I have had miserable 3 months of my early motherhood and I wish to save other new mothers from this! So here's what I wish to reinstate and confirm with all those new mothers who are struggling with the pressures around breast feeding. Few myths that I had heard and caused me frustration. But when I clarified them in the way below, I recovered real fast! Babies who don't get breast feed become addicts and have relationship problems with their mothers when they grow up. If this was even close to being true, almost alternate person I know, including myself would have landed up in a rehabilitation center and be a mother hater! Babies get nutrition only and only through breast feeding! Seriously?? I mean, seriously? I am not even going to attempt to explain why this is not true! Mothers who breast feed their children are actually true mothers in the eyes of nature! Yeah right! You have to breast feed to prove that you are a mother! You are so ambitious that it over powers your mother's instincts! Great! How is it that you didn't realize that becoming a mother comes before breastfeeding, and that, I chose to become a mother? And there have been numerous ridiculous statements not even worth mentioning that came my way. In every sense of the term they ruined my entire experience of breastfeeding! I may have been able to feed more had I not experienced this stupidity. What happened is in the past and I am more than willing to accept that all meant good! But those of you who are going to go through this phase or are in this phase, please don't fall in the trap I did! Now let me make it very clear that I am not contesting breastfeeding to be good for the baby. But that is not the end of it all! There is much more to motherhood than breastfeeding. Those mothers who can feed up to 6 months or more are not superlative, neither they are perfect in parenting! I have all the respect for them and the same respect for the mothers who didn't feed longer or at all! So my mantra in closing is this, if you have enough milk, enjoy being the mother dairy... If you don't, enjoy being the mother who provides the dairy! In the end all that matters is that you are the mother!